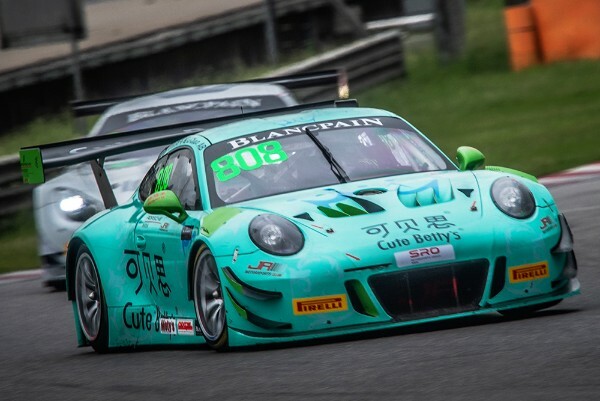 One of China’s leading GT teams and driver crews, JR-M’s Li Chao and Chris van der Drift, will contest a full season of Blancpain GT World Challenge Asia in 2019 with Porsche’s all-new 911 GT3 R.
The same combination, albeit driving the German manufacturer’s previous GT3 model, has finished second overall in the China GT Championship for the past two years. Now armed with a new-generation GT3, they’re collectively joining Asia’s biggest GT series. It follows JR-M’s one-off Blancpain GT Series Asia appearance in Shanghai last season when Chao and Van der Drift sampled their first taste of the championship together. Chao’s Porsche experience also extends to several seasons of Carrera Cup Asia and the 2018 FIA GT Nations Cup. Meanwhile, Van der Drift’s impressive racing CV includes three overall Porsche Carrera Cup Asia titles, most recently in 2018, as well as a successful junior single-seater and karting career that featured championship wins in Europe and his native New Zealand. JRM’s entry brings the total number of new Porsches already entered to four. Absolute Racing will run two 911 GT3 Rs, while Japanese outfit ARN Racing switched from Ferrari over the winter. Audi, Lamborghini and Mercedes-AMG also feature on the list of confirmed entries, more of which will be announced shortly. Sepang in Malaysia hosts the first two of this year’s 12 races on April 6-7. Trips to Buriram, Suzuka, Fuji, Yeongam and Shanghai complete 2019’s six-round schedule.